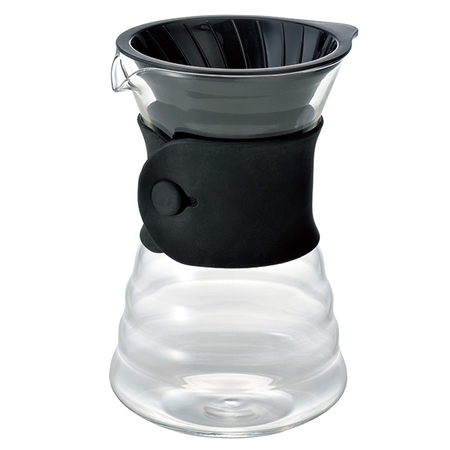 Hario V60 Drip Decanter is for those who love to brew coffee with V60 accessories but also appreciate Chemex. Capacity: 700 ml. The decanter is a very interesting device: a filter of V60 type with tubules typical for Hario drippers as well as a glass carafe for coffee with a stylish and comfortable silicone handle. This set allows for brewing and serving of your coffee with a single vessel. For the convenience of use, all components are easily disassembled when you need to clean them. The vessel of heat-resistant glass and the plastic dripper are dishwasher safe. 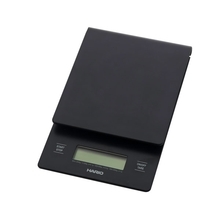 The decanter is compatible with Hario V60-02 filters, which are included in the set (10 pcs). The detailed instructions and tips for brewing coffee with a dripper are available from our Knowledge Base: DRIP. Question: Z czego wykonany jest sam driper w tym zestawie?